Working systematically through the body we explore the relationship between physical and qi, formed and moving, yin and yang. Examining the physical body through observation of posture and range of movement and palpation we revise anatomy and gain a deeper understanding of structure. We use cases which are of interest to the participants and discuss practical advice for patients, including qi gong, stretches and exercises. Each day we explore a different zang fu from the perspective of its related element and then take this theoretical knowledge into practical techniques for diagnosis and treatment. The emphasis is on quiet, deep, focused work to understand the movement of qi in balance and imbalance. We use cases which are of interest to the participants and discuss practical advice for patients, including diet and qi gong. Our teaching is grounded in classical Chinese medicine thinking which constantly sights the person within the natural landscape, recognising each person as both a unique individual and a microcosm of the universe. This classical, subtle style of tuina is the perfect adjunct to acupuncture and herbs; combined with qi gong it can be used for both diagnosis and treatment. 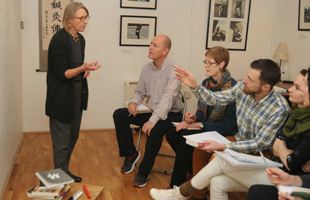 On these intensive 5 day courses we teach a versatile range of techniques to enhance your practice. Learn how to work with qi and the physical body in a deep and effective way. You will explore qi through hands-on techniques, the classical theories of yin yang and wu xing (5 elements) and the practice of qi gong and yang sheng (nourishing life). The style of tuina taught is subtle, deep and versatile, being rooted in an understanding of qi and drawing on daoist philosophy; it is used to treat both musculo-skeletal and internal conditions. The practice of qi gong is key to developing both an understanding of qi for diagnosis and treatment and effective hand techniques. You will be using tuina and qi gong throughout the course to assess, diagnose, treat and really unite theory and practice. The earliest records of tuina being practiced in China date to the 2nd century BCE and, along with acupuncture and herbal medicine, it remains central to the development and practice of Chinese medicine today. As would be expected over this long period there are a variety of styles of practice and the techniques are often used in conjunction with acupuncture and/or herbal medicine and supplementary advice on diet, exercise and the practice of qi gong. The word tuina simply comes from two techniques: tui – downward stroking and na – grasping and lifting. In some areas of China massage techniques are called anmo – an – pressing and mo – circular rubbing. To Apply: Email: info@apothecarycentre.org.uk with your CV and reasons for wanting to do the course. Numbers are limited to 14 people. 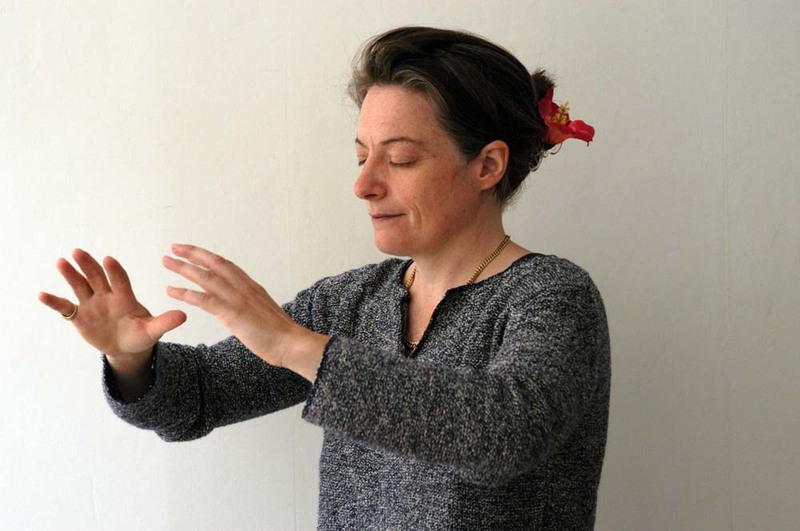 Tutor Rosey Grandage is an acupuncturist, tuina practitioner and physiotherapist who studied qi gong as an apprentice in China from 1991-2 and has been teaching Qi Gong, Acupuncture and Tuina since 1999. 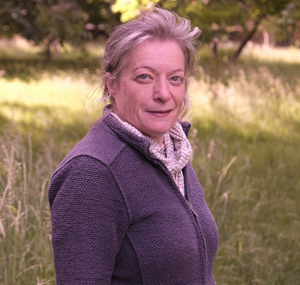 She works in Wales and London, and has spent 5 years converting her barn using traditional and eco-friendly materials. Open to practitioners already qualified in Chinese medicine: acupuncture and/or herbs, these 4 – 5 day courses offer an intensive practical training in this versatile ancient massage which is such a useful addition to practice. In China it is normally taught with acupuncture, somehow in the west the two have become separated to the detriment of both. Rosey Grandage, Kang Xian Li and Sandra Hill have run qi gong tuina courses together for more than 15 years and have real dedication, knowledge and enthusiasm for passing on these skills and ideas. This class is open to everyone who wants to learn and practice the ancient Chinese art of qi gong. The style taught draws on Daoist roots of quiet observation and practice. We start each session with some stretches and warm up exercises and then move on to standing and sitting qi gong. Rosey Grandage spent several years during the 1990’s studying acupuncture, tuina and qi gong in China at both government hospitals and as an apprentice. This class is for students and practitioners of Chinese medicine and offers both qi gong practice and a space to discuss and explore concepts, cases, treatment, advice, yang sheng and really anything of interest to the group. The focus is on nurturing your own qi and developing your perception and understanding of qi so you can diagnose and work with qi during treatments. Sandra Hill is a Chinese medicine practitioner, writer and teacher with a particular interest in Classical Chinese texts and yang sheng. After completing an MA in Fine Art, Sandra Hill lived in Japan for 3 years where she studied tai ji, qi gong and shiatsu, as well as interning with acupuncturist and researcher Dr Hiroshi Motoyama. On her return to the UK she studied acupuncture at the International College of Oriental Medicine, where she later taught for many years. Sandra studied the classical Chinese medical and philosophical texts with French sinologists Claude Larre and Elisabeth Rochat de la Vallée, and co-founded Monkey Press in order to make their work accessible to an English speaking audience. She co-authored A Guide to Acupuncture with Peter Firebrace, and they later established the Orientation clinic and teaching centre in London. Sandra is the author of Reclaiming the Wisdom of the Body, Oriental Paths to Health and Chinese Medicine from the Classics: a beginner's guide. While maintaining the hands-on practice she developed while studying in Japan, her teaching is inspired by the philosophy of health found within the classical texts. Rosey Grandage is a physiotherapist and Chinese medicine practitioner who has a particular interest in tuina and qi gong. She founded the Qi Gong Tuina Diploma at University of Westminster in 1999 and has continued to develop the programme and teach qi gong tuina since then. Her knowledge of China, Chinese philosophy and literature came, originally, from a degree in International History and Politics. Her focus on Chinese medicine, tuina and qi gong grew from several years studying in China. She lived in Beijing, Tianjin and Urumqi for two years from 1991 - 2, studying at government colleges and as an apprentice. Throughout the 1990s she spent several weeks each year in China furthering her studies and practice. In addition to qi gong and tuina, she is interested in the concept of yang sheng - nourishing life and this plays a central role in her teaching and practice. 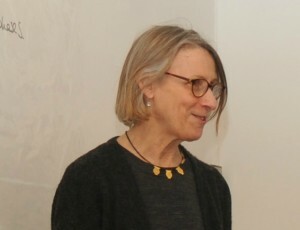 Together with Sandra Hill she has developed a teaching programme which is rooted in a knowledge of the classical Chinese texts and a deep understanding of qi. For an additional biography see the information on the Practitioners page. Kang Xian Li is a Chinese medicine practitioner and teacher with a particular interest in qi gong, tuina and herbal medicine. She trained and worked in China, before moving to London in 1999. Since then she has set up a busy practice in north London and taught on the acupuncture and Chinese herbal medicine courses at University of Westminster.